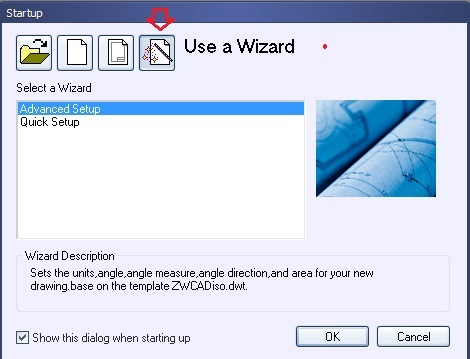 In this Post I will Give Introduction to another Awesome CAD Product – ZWCAD ! 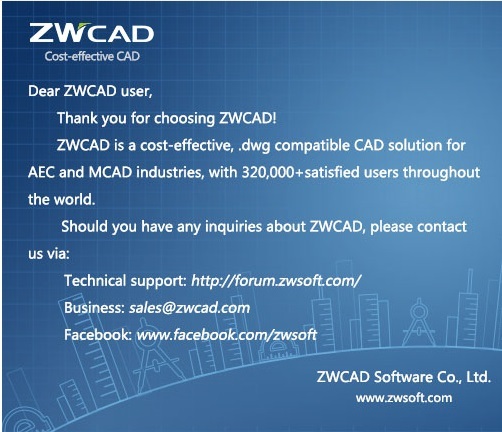 ZWCAD is A cost-effective light-weight(~134mb) CAD platform with .dwg compatibility for drafting, modeling, and drawing. ! 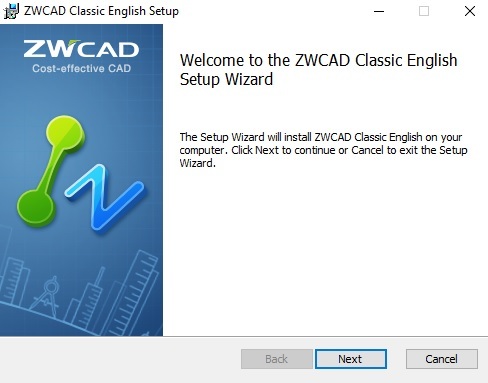 I have downloaded ZWCAD Classic English. Installation is very easy & quick ! After filling small info form your Installation is Complete ! 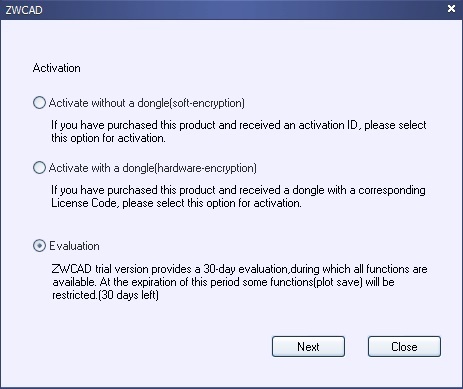 If you have purchased ZWCAD then you will need to Choose Activation option and proceed. 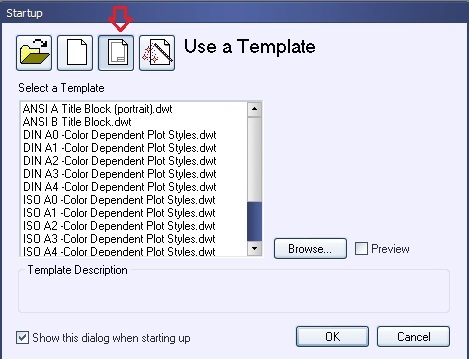 If you are evaluating this CAD Product then you can keep default radio option ‘Evaluation’ & Click on ‘Next’ . Choose Default Settings: English or Metric Unit system. 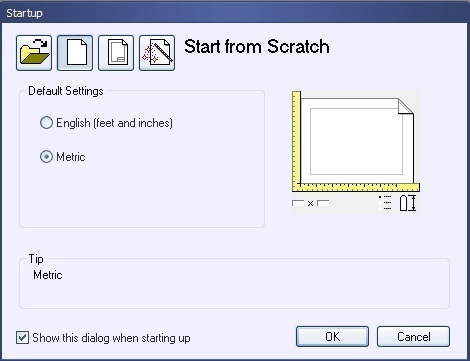 Here, I will start from Scratch with Metric default Setting & Click on dialog box. Here is our First Look at ZWCAD Classic. 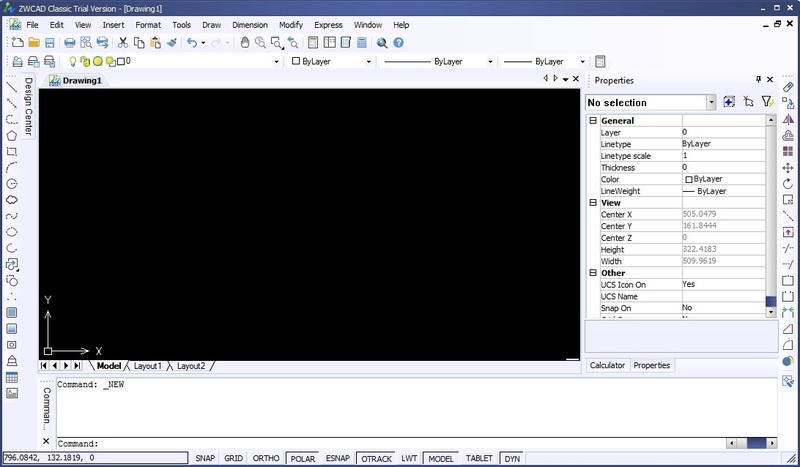 Let us understand what each section in ZWCAD is named. 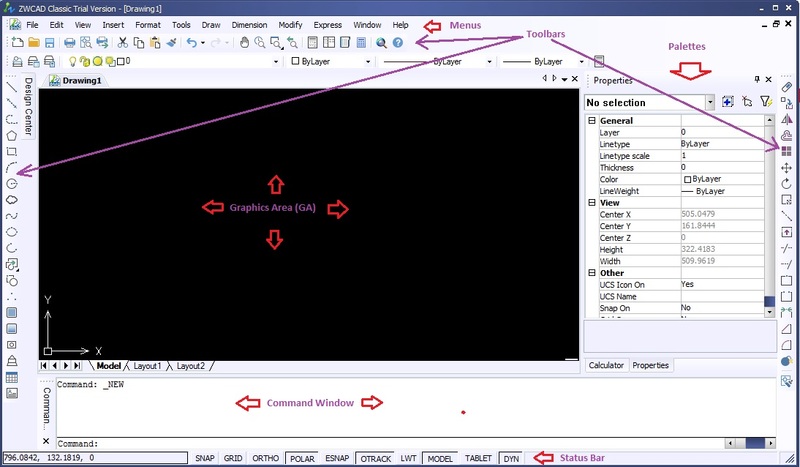 Well most of CAD Software follows same naming and orientation.